Three animal charities are set to benefit from a three peaks challenge which a team of vets are currently tackling. Lime Trees Vets, which has a branch in Cheadle, has decided to do more than just care for animals, but also raise money for them too. Jordanne Turley of Lime Trees Vets said: “At Lime Trees Vets, we see many charity cases. “The charities spend so much money helping treat the sick, abandoned, injured or animals needing a forever home and we wanted to give something back. The team is made up of staff members who cover at both the Meir Park’s Lime Trees Veterinary Hospital and Cheadle’s Lime Trees Veterinary Clinic, along with some staff members’ friends. The challengers include: Charlie, Georgia, Holly, Katie, Amy, Kath, Natalie, Jodie, Nigel, Hywel, Alex, and Zoe. Jordanne said: “There are different people doing different peaks due to still covering work shifts. “We have never done anything like this before but I am sure we shall be doing more as we have already made an ideas board in the tea room with more fundraising ideas. “We cannot believe how well this has gone down with clients. “Our Facebook page has been none stop with likes and comments. The team has already completed Scafell and Snowdon over the past couple of weeks, with Ben Nevis left to tackle this weekend. They have already smashed their fund-raising target of £600, having raised almost £1,000 so far. 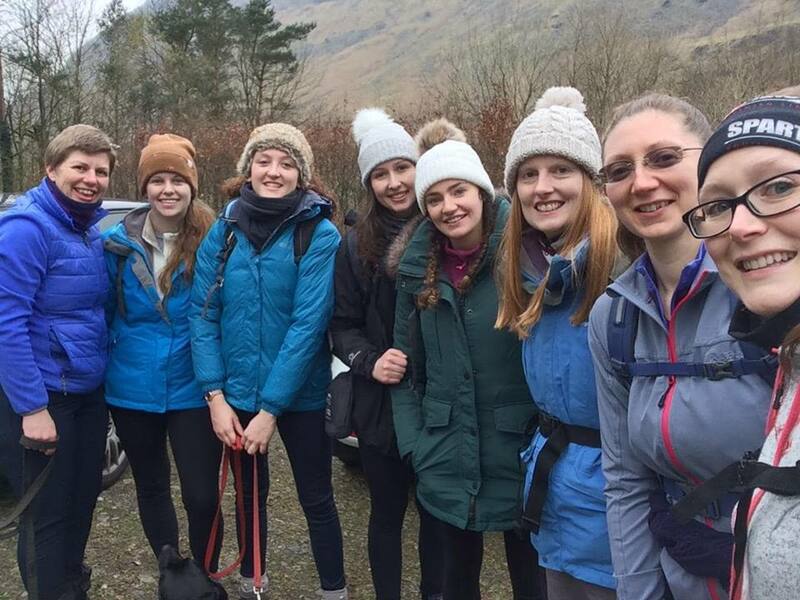 Jordanne added: “We are thrilled with the support we have had that has allowed us to exceed our target before we have completed the challenge. The charities which are set to benefit from the team’s efforts are: Golden Oldies, Cocker and English Springer Spaniel Rescue and, Cheadle and District Animal Welfare Society. Next articleA campaign is set to be launched with the aim of increasing the number of defibrillators which are installed across the county.